Find Better Ideas, Faster ® with a custom donut trend report, our PRO Dashboard and 80+ categories of premium trend reports. 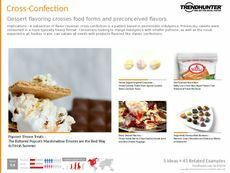 Discover the tasty and decadent world of fried dough with Trend Hunter's Donut Trend Report. 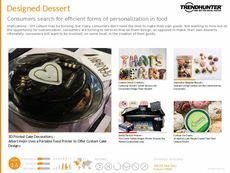 We sort through our massive online trend community to bring you and your team some of the most creative ingredients, flavors and versions of the classic donut. 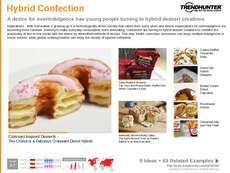 Different types of donuts, by both large and small scale bakeries and QSR services, are featured for a thoroughly detailed view of this traditional pastry treat. This report will provide readers interested in discovering new donut recipes, promotions and flavor profiles a snapshot of the contemporary donut scene. 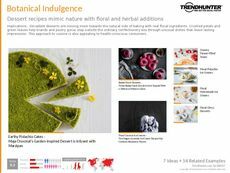 Use our curated research report to inspire and create your own donut recipes and promotions that are catered towards the demands of the current consumer market. 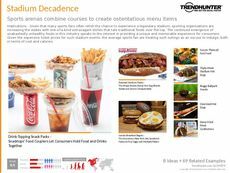 The Donut Trend Report is a delicious and informative look into the world of donuts that will help kick-start your personal culinary creativity or your company's evolving service to your clientele.